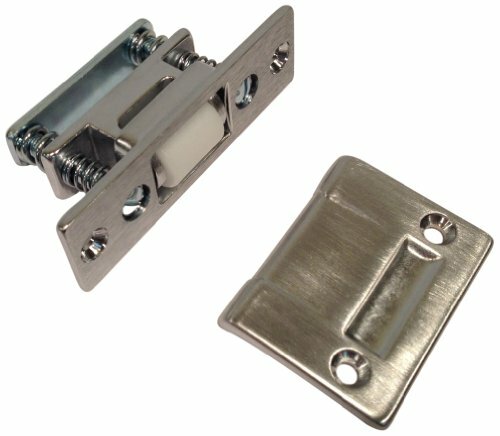 Southco electronic rotary latch with sealed actuator and plated-steel or stainless steel outer body construction provides a versatile electromechanical latch solution for outdoor and corrosive environments. 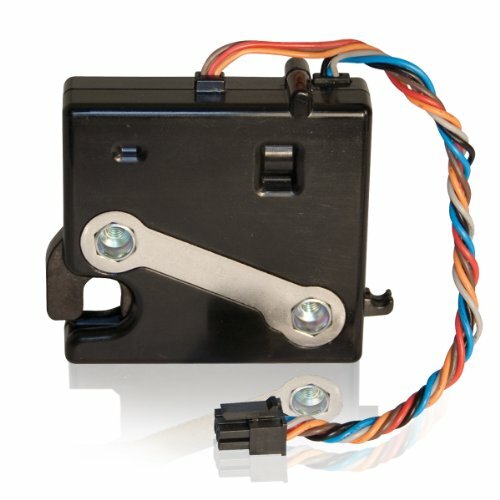 Outdoor electronic rotary latch provides reliable electronic access control in demanding environments. With its corrosion-resistant plated-steel or stainless steel outer body construction and fully-sealed internal actuator, the Outdoor R4-EM provides reliable electronic locking that is resistant to moisture and dust. The embedded electronic control allows integration with an external control system and flexible, concealed installation provides vandal-resistance and accommodates a variety of outdoor applications. Industry applications includes enclosure companies, medical dispensing and storage equipment, self-service point of sale, signs, exhibits and displays. 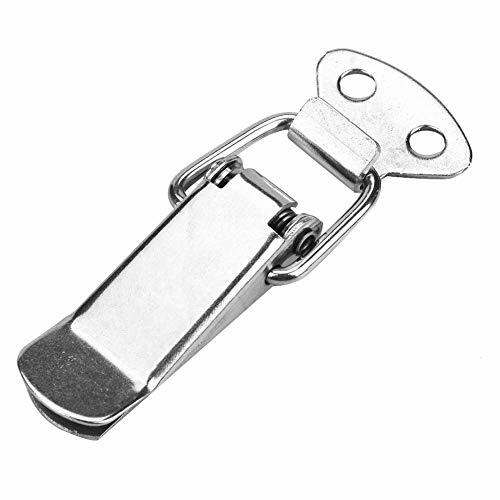 Mechanism housing, cam, trigger, pins: zinc nickel plated steel. Springs: 300 series stainless steel. Electronic actuator housing: PC/ABS. Bellows, wire seal: silicone. Perimeter seal: Buna. Perimeter Seal: Buna. Grommet: Santoprene. Recommended operating voltage: 12 to 24 Volt DC. Typical operating current (average at no load): less then 600mA at 12V DC. Input signal current draw: 25mA maximum at 24V DC. Micro-switch rating: 3A maximum at 12V DC. Thru hole, no connector. Single switch (cam only). Light cam spring alternate configuration. Delayed relock, side trigger style. Push-to-close, electronic release. Versatile rotary mechanism. Southco electronic rotary latch provides a simple, versatile electromechanical latch solution for a variety of applications. Easy to install and maintain, the R4-EM delivers the convenience of electronic access control with the security of a proven, robust, all-metal rotary latch design in a compact, integrated package. Easy push-to-close operation and electronic actuation simplify access across a wide variety of applications. An optional microswitch provides feedback on latch status, and a delayed re-lock version keeps a door unlocked for manual opening/closing cycles. A gear-motor drive distinguishes the R4-EM latch from competitive solenoid driven electromechanical latches - with lower power requirements, higher load capability, and a better feel to latch operation. The delayed re-lock version provides the flexibility of controlling the unlock time while monitoring remotely with an integral microswitch option. Industry applications includes automotive - truck hoods, storage compartments, computers, construction equipment, off-highway vehicles, farm equipment, display cases, electronic enclosures, industrial equipment, marine, medical equipment, recreational vehicles, self-service equipment and storage lockers, transportation - bus, truck, aerospace, rail. Mechanism housing: steel, zinc plated. Cam, trigger: steel, zinc plated. Springs: 300 series stainless steel. 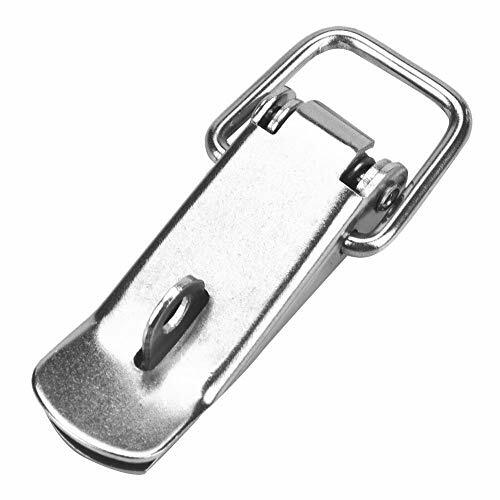 Pins: steel, zinc plated. Electronic actuator: housing: PC/ABS. Cam/follower: Acetal. Recommended operating voltage: 12 to 24 Volt DC. Typical operating current (average at no load): Less then 600mA at 12V DC. Input signal current draw: 25mA maximum at 24V DC. Zinc plate, bright chromate finish. Electronic access. 12-24V DC operation input options, and the ability to accommodate multiple input signals offers versatility for installation and integration with new or existing access control systems. 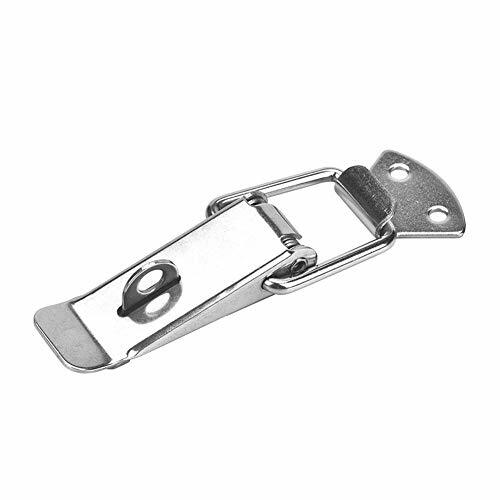 Don-Jo this is adjustable roller latch. Satin chrome plated. Solid nylon roller for silent operation. Measures 3-3/8-inches length by 1-inch width. Limited 1-year warranty. 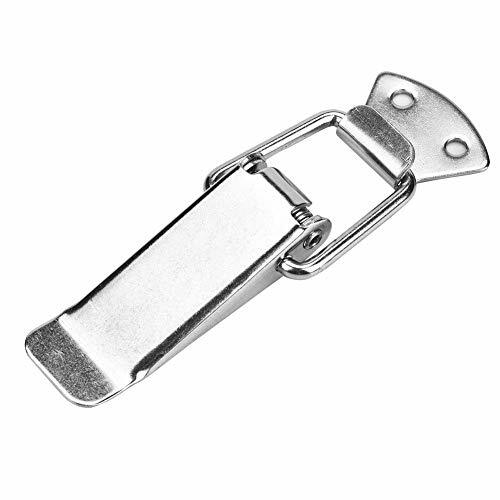 Don-Jo this is adjustable roller latch. Clear coated satin nickel plated. Solid nylon roller for silent operation. Measures 3-3/8-inches length by 1-inch width. Limited 1-year warranty. 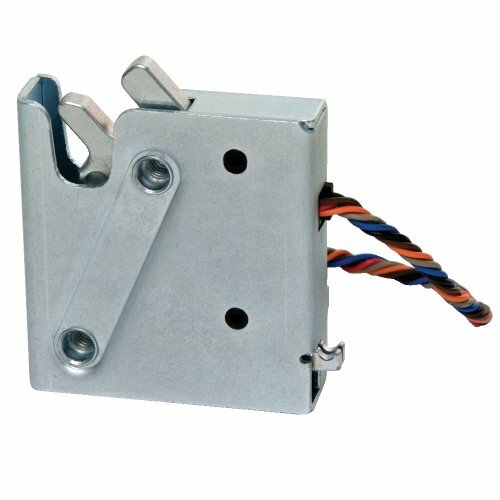 Southco light duty electronic rotary latch provides a simple, versatile electromechanical latch solution for a variety of applications. 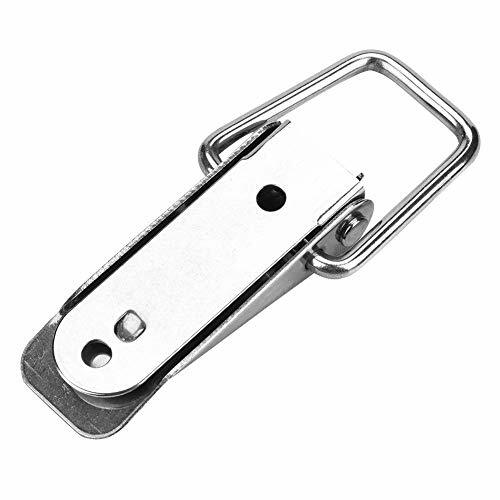 Light duty electronic rotary latch. Convenient and reliable, the light duty R4-EM delivers proven electronic access control in a compact, lightweight integrated package. Easy push-to-close operation and simple installation make the R4-EM ideal for transitioning from mechanical to electronic access. An optional microswitch provides feedback on latch status. The R4-EM is available in both auto re-lock and delayed re-lock versions for added flexibility. The light duty R4-EM features a microprocessor controlled gearmotor with low power requirements. Multiple mounting configurations and a compact size afford easy integration into existing designs. The latch eliminates key management and accepts access control signals from a variety of devices including key fobs, keypads and proximity cards. Industry applications includes electronic enclosures, self service equipment, kiosks, medical storage units, postal terminals, storage lockers, vending machines. 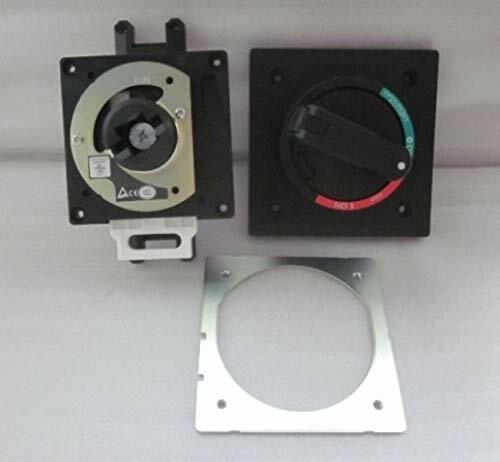 Housings: PC/ABS. Cam: glass filled nylon. Trigger: PBT. Springs: stainless steel. 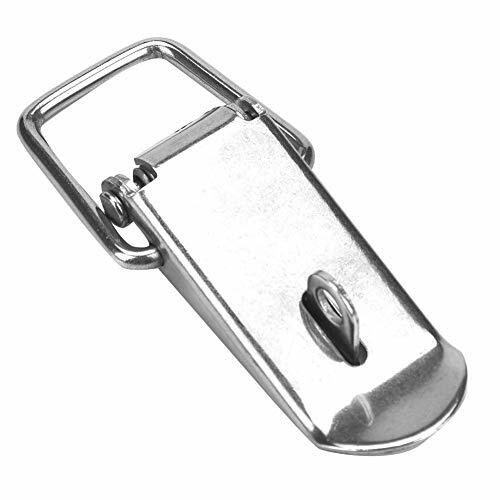 Pins: steel, zinc plated. Recommended operating voltage: 12 to 24V DC. Typical operating current (average at no load): Less than 600mA at 12V DC. Input signal current draw: 25mA maximum. Microswitch rating: 3A maximum at 12V DC. Electronic access. Concealed/internal profile. 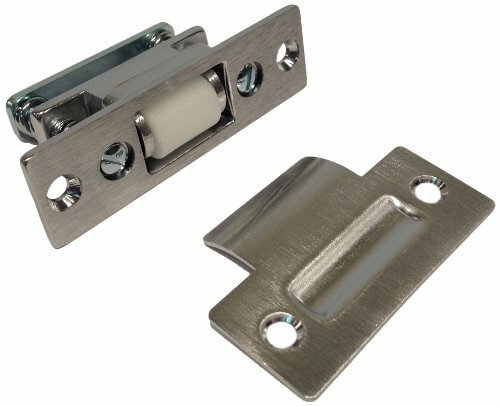 Don-Jo adjustable roller latch. Satin chrome plated. Solid nylon roller for silent operation. Measures 2-1/4-inches length by 7/8-inches width. Limited 1-year warranty. Measures 2-1/4-inches length by 7/8-inches width. 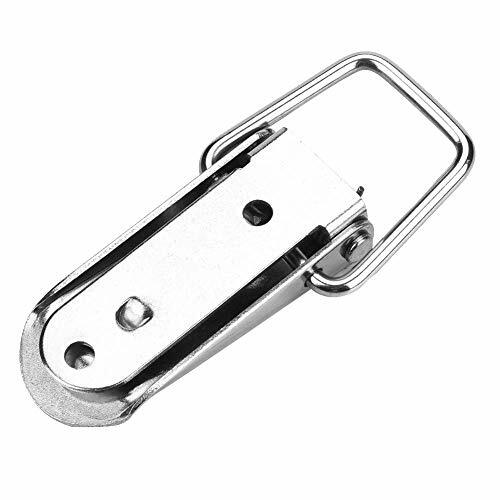 Quality Guarantee - The hasp latch is Made of high quality stainless steel, wear resistance and durable in use. 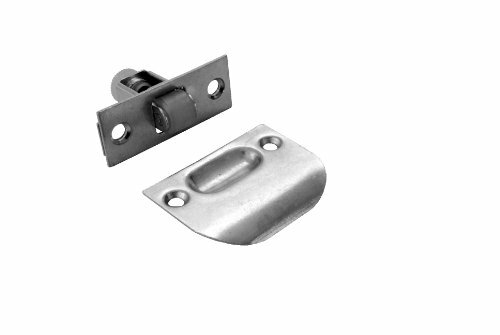 Anti-Corrosion - Spring latch with excellent anti-corrosion properties. 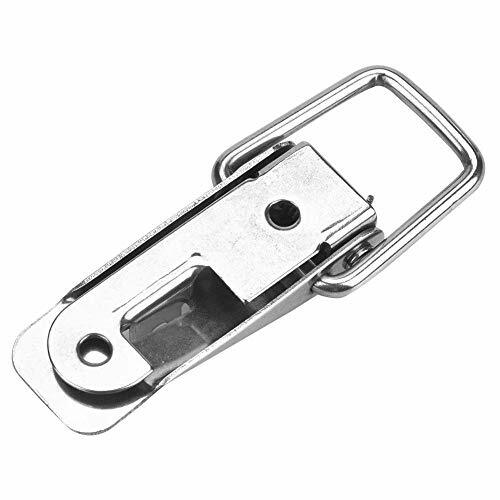 Better to Use - The hasp latch is designed for doors closing, provide additional security, easy to install. Great Helper - An ideal hardware for home, office, shop and so on. Wide Applications - Applicable to industrial machinery and equipment, furniture and building materials, all kinds of boxes, barrels, cabinets, etc. Brand: Fuji Electric Co. | Manufacturer: Fuji Electric Co.